It's 17 years since Eddie Brennan played in an All-Ireland senior club hurling final with Graigue Ballycallan. That day they went down to Galway outfit Athenry and while he'd go on to enjoy a stunning career at inter-county level, he didn't reach another championship decider with his club until this year's Kilkenny IHC final. "The only Easter Monday one, a rotten memory, playing Athenry, and lost after extra-time," Brennan recalls of their run to the 2001 decider. "If you said to me back then you'd not win a county title until 2018, and it would be intermediate, and get to play in a Leinster final after that, you'd have said you need to go and be assessed or something." He's 40 now but his love for the game burns as bright as ever. "That's what the last year has been about, enjoying it for what it is, just pure hurling, just one of the boys. "We've a lot of good young guys coming through, and you don't have to put in one of those 'shoot the lights out' performances to get us over the line. There's freedom to go and hurl. "And it's massive bonus territory for someone like me, but I'm fortunate the body has never had any bad injuries, and I'm very busy, and good busy. "I did a small bit of coaching with Killenaule, early on, then made a decision to go back play junior, I was re-graded, and enjoyed it thoroughly, 12, 13 matches during the summer. I don't mind training, but I like matches better. 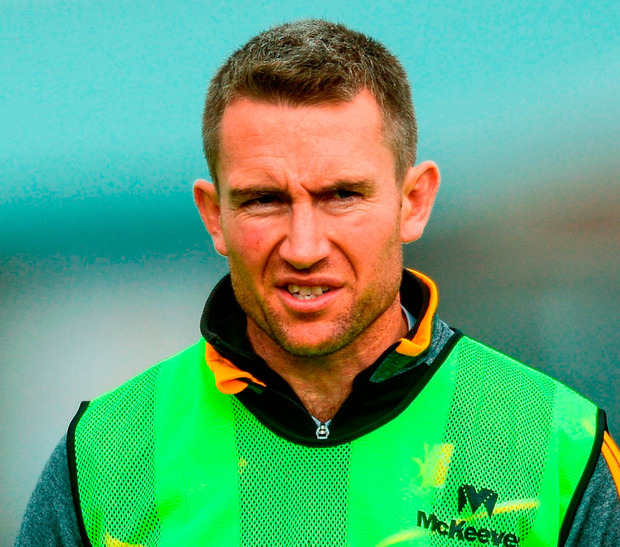 "We lost Colm Prenderville, who was on the Kilkenny squad, to a cruciate, and that opened the door to get in and play matches, but the pathway was to go back to junior B." On Saturday, they face Portlaoise in the AIB Leinster IHC final. It's not lost on Brennan that he'll face off against some of the players he'll call into the Laois panel as manager for the 2019 season. And he accepts that getting all of the county's best players to commit to the cause will be his first challenge. "That's certainly been an issue. You're looking at your pool of players to get them to come in. In some regards, young lads nowadays are very quick to do sums in their heads and look at things and calculate what's realistically achievable here, where is this going?" Brennan says. "But you'd be hoping that the mindset generally up there would change a bit. "I think the mindset is sometimes when you're in a place like maybe Laois hurling is now, that the attitude could be, 'Sure you're not going to win anything, so focus with your club' and I understand why you would say that but what I was reared with and what we grew up with was that your ambitious enough to say I want to play with my club team, which is the first target. "And then can you go a little bit further and you'd be hoping that lads adopt that kind of change and say, 'Look, can we come in?' And maybe it's my job as well to make it a more attractive prospect for guys who are opting out for whatever reason. "Look, there's more to life than hurling and if lads don't want to commit to that, that's ok too but ultimately it's the guys that are committing to it that you say that's what I have to work with and get the best out of maybe down the line you want it that young lads of 16 or 17 or 18 are looking at the set-up saying, 'I want to go in there'."